Vicky Mae Tiller, 70, of Kirksville, MO and formerly of Fridley, MN died Saturday September 22, 2018 at Northeast Regional Medical Center in Kirksville, Missouri. Vicky was born March 21, 1948 the daughter of the late Delbert “Red” Reneau and Shirley Skillman Gizinski. She is also preceded in death by two brothers, Franklin Reneau and David Gizinski. 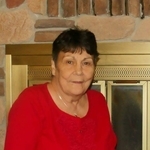 She is survived by her five children, Marjorie Reneau-Britton (Robert), Angie Miller, Tracy Venable, Jason Goodpaster (Stacey) and Kellie Drangeid (Paul); eight grandchildren, Samantha Britton, Kristoffer and Jacob Miller, Kayla (Tyler) and William Venable, Justin Myers, Gabby and Caleb Mogielnicki; granddog Loki. Her brothers Wayne Gizinski (Jana) and Brian Gizinski (Pam) and numerous aunts, uncles, nieces and nephews and many loving and supportive friends. Vicky grew up and spent most of her life in Minnesota. She was a hard-working mother of five. She loved her family. She attended culinary school, owned and operated her own restaurant Vicky Mae’s. Vicky enjoyed playing Bingo and spent the past 10 years living in Kirksville enjoying family. Vicky’s wishes were for cremation. A Celebration of Life is planned for October 5, 2018 from 6:00 pm to 8:00 pm at A Simplified Funeral Solution in Green Castle, MO. To send flowers to the family of Vicky Mae Tiller, please visit our Heartfelt Sympathies Store.